We’d love your help. 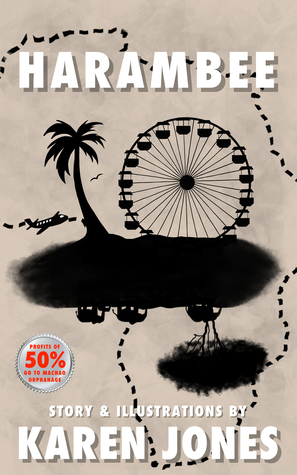 Let us know what’s wrong with this preview of Harambee by Karen Jones. Profits of 50% of the sale of this children's book go to the Machao Orphanage. "MACHAO" is an acronym for Makueni Christian Home for Assisting Orphans. MACHAO is a faith-based organization formed by seven Christians of the Africa Inland Church (AIC) within Wote Division in Makueni District. MACHAO aims at covering all the seventeen divisions of the Makueni District, with a Profits of 50% of the sale of this children's book go to the Machao Orphanage. "MACHAO" is an acronym for Makueni Christian Home for Assisting Orphans. MACHAO is a faith-based organization formed by seven Christians of the Africa Inland Church (AIC) within Wote Division in Makueni District. MACHAO aims at covering all the seventeen divisions of the Makueni District, with a population of about 900,000 people. It is estimated that over 5% of this population die and leave many children orphaned. From Author Karen Jones: I met Carolyn while my family was relocating to Los Angeles, California. She and her family embraced me and mine as if we'd known each other our whole lives. I learned of Carolyn's involvement with the Machao Orphanage and was deeply moved. My hope is that this book will change lives - mine, perhaps; Carolyn's, certainly; but most of all the children in need of food, clothing, care and education. Harambee is the Kenyan tradition of community self-help events, often used to describe fundraising or developmental projects and has become the official motto of Kenya appearing on its coat of arms. Literally, it means "all pull together" in Swahili. I think it is the perfect title for a book meant to encourage those who've been blessed to "pull together" to help those less fortunate. To ask other readers questions about Harambee, please sign up. Karen Jones grew up in rural Indiana on a small family farm. Her father worked construction all his life and her mother was a writer. The last born in a family of seven, Karen wore too many hand-me-downs and heard “grown-up” conversations long before she should have. But that large, semi-dysfunctional family taught her a lot about life, love, and sticking together. Each special moment, each family Karen Jones grew up in rural Indiana on a small family farm. Her father worked construction all his life and her mother was a writer. The last born in a family of seven, Karen wore too many hand-me-downs and heard “grown-up” conversations long before she should have. But that large, semi-dysfunctional family taught her a lot about life, love, and sticking together. Each special moment, each family crisis, and each unique family personality from her childhood molded her into the crazy, quirky, and creative person she is. And she wouldn’t trade a single triumph or trauma. She married her complete opposite. Her husband, Rob, is rational, logical and analytical. They make a great pair. She shows him the creative side of life and he keeps her from floating away into oblivion on the winds of inspiration. They live in Indiana but long to move to the beach. They’re daughter, Allyson, is a complex mixture of them both. Using both sides of her brain equally, she is both surprising and sensible.